Sign up today, start this week! 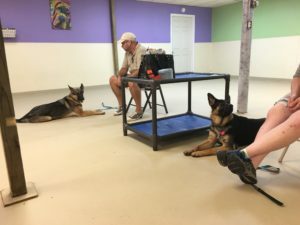 More than just rote drilling of obedience commands, Beginner Manners breaks out of the obedience ring and into the real world. Who is this class for? Any dog comfortable working in a group class setting. 6. Down and Settle Down. 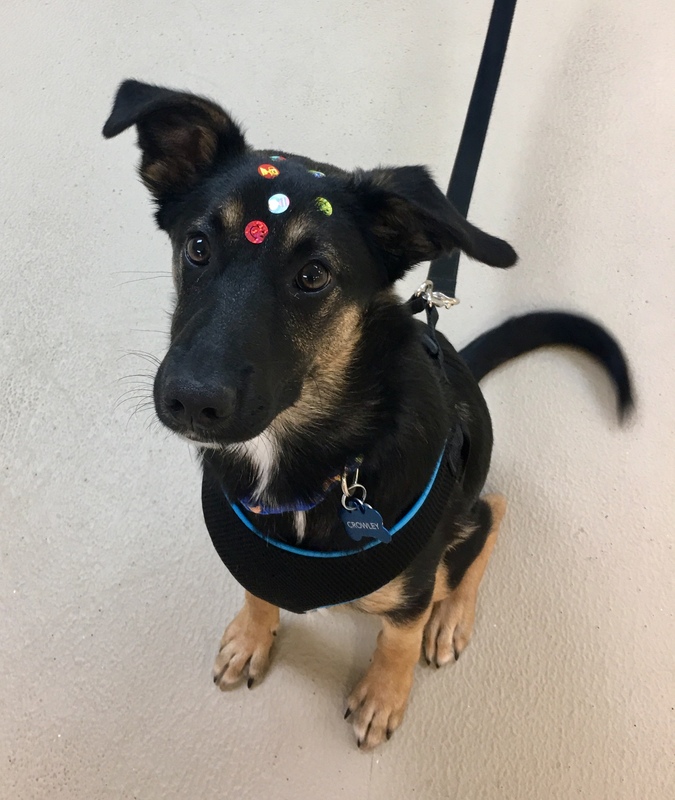 Best Puppy Students (dogs under 6 months) also receive special instruction in: Biting/mouthing, house training, and crate training. Dogville (Tulsa) location: Sign up now and start this week! Flying G Ranch location (Sand Springs) Spring Class enrolling now! Saturdays at 10:00 am: This class has a hard start/end date. Flying G Ranch location is INDOORS but in an unheated building, please dress as you would to walk your dog that morning. How does Open Enrollment Work? 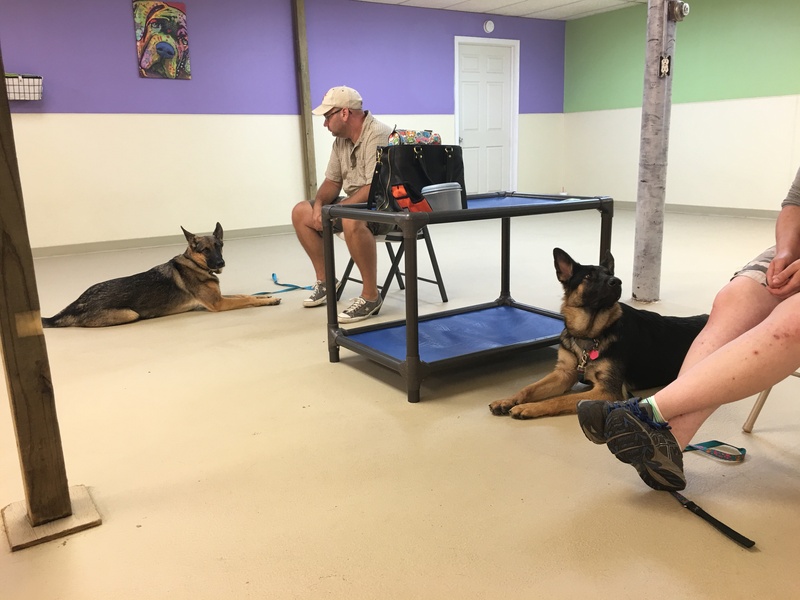 Beginner Manners (Dogville Location) is an ongoing class, Open Enrollment allows you to start at any time. No more waiting for the next class to start! Beginner Manners includes 6 weekly lessons, you will have 8 weeks from your Lesson 1: Orientation date to complete all 6 classes, this means you can start when it’s convenient, and “skip” up to 2 classes without “loosing” a class or being required to schedule an invonvient make up. 6 classes, 8 weeks to complete, easy peasy! *All dogs must have been in your home for at least 7 days prior to your Orientation class/14 days prior to your dogs first class, be heathy, and current on vaccinations. What does it cost? $100 for 6 weekly group lessons. Flying G Ranch 19402 OK-51, Sand Springs, OK 74063 (Take driveway fork to the right, park in the small lot immediately on your left, and enter through the glass double doors in the building to your right). Just Contact Us to sign up! Send us an email with the location and if Open Enrollment (Dogville) the start date you would like to attend Lesson 1 Orientation and we’ll have all your class materials and enrollment form ready! Shadow and Zap practice their Settle Down. Copyright © 2011-2017 Clickety Split Dog Training LLC, All Rights Reserved.